Each year members of the Guild make a special quilt to raffle off. This year’s quilt won blue and best of class ribbons, with a perfect score, at the SWW Fair. 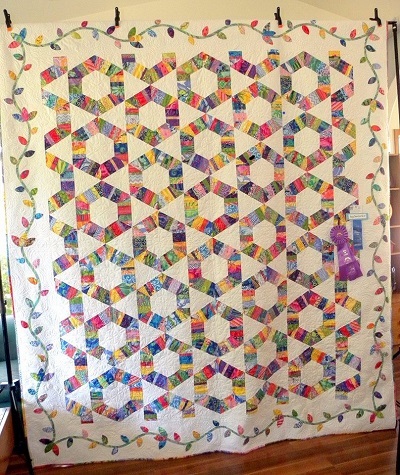 For a chance to own this beautiful quilt, purchase a ticket for a $1.00 now through July 2019. Proceeds from ticket sales fund guild operations. The lucky winner is drawn at the annual Summer Picnic in August.